Investors tend to underestimate risk in rising markets and overestimate risk in a falling market – try to do the opposite. Make sure the amount of risk you’re willing to take is aligned with your goals. The higher the return being sought, the greater the risk that has to be taken. Have in your mind a realistic timescale to meet your goals – it’s very hard, if not impossible, to get rich quick. Age and disposable wealth will be a factor in working out how much risk you can take – the younger you are the more time you have to make up for any losses. Now that you’re happy with your risk profile, let’s begin with the 10 strategies for success this year. Perhaps the most obvious feature of the crypto market is its volatility. That might seem surprising for anyone who has been following the price movement of bitcoin over the past month or so. 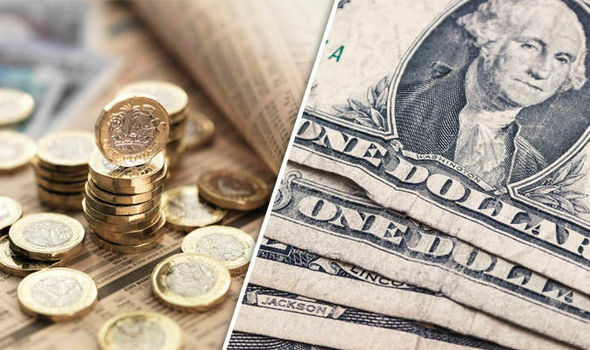 Its volatility narrowed considerably in March to a record low with a trading range of 7.8%, according to Dow Jones Market Data – until this week’s breakout changed all that. Nevertheless, by the standards of established asset classes 7.8% is still a high reading and of course for other cryptoassets the volatility levels can be even greater. But here’s the good news: crypto investors can smooth out volatility with a tried and tested strategy of drip-feeding cash into the market. By buying a set amount every month instead of taking a position with a large lump sum, investors will smooth volatility. So, for example, if the market is on a downward trend then each successive investment will bring down the average buying price of the overall holding, and vice versa. Investors can set a rule to slightly vary the amounts of the regular investment depending on the steepness of market movements, either up or down. Another advantage of cost averaging is that it obviates trying to time the market. Most investors fail to time their market entry points successfully. Regular investing in a stock or cryptoasset you have already decided you want to put money into means you don’t get caught up in timing inertia, waiting for the best time to buy only to end up missing opportunities. Portfolio diversification is an essential strategy for all investors because it helps to mitigate risk. Basically, it never makes sense to put all your eggs in one basket, although bitcoin maximalists are likely to disagree. There are several important ways to apply diversification. You could diversify with reference to the underlying technology of the various protocols, such as proof-of-work, proof-of-stake and delegated proof-of stake. Also think about a regional approach. Is the asset based in a promising geographical hub in terms of skillsbase, capital market access and target audience? What is the regulatory environment like in the home jurisdiction of the project? Does it make sense to have at least one project based in China? And, of course, you should diversify by sector, which we look at more closely in investment themes. Investors should also consider diversifying by investment type. As we show below (7. collectives), you don’t have to directly buy a cryptoasset in order to gain exposure to the sector. Asset allocation theory holds that it is the mix of assets that is the key determinant of returns, not so much the specific holdings. Accordingly, for a traditional investor it is the balance between stocks, bonds, commodities, cash and alternative investments (for example, art, classic cars, stamps and even crypto) that matters. We can drill down and apply this strategy to an investment universe that is confined to just crypto. The investor can then divide up the crypto world from the 2,134 cryptoassets listed on coinmarketcap (or a more discrete selection) into ‘proto’ asset classes. In practice what we are talking about here is essentially a sector breakdown. 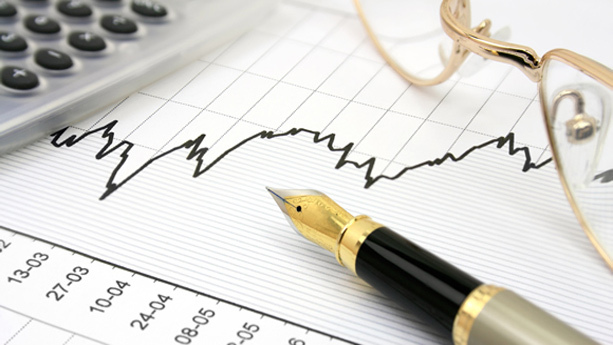 Investors can decide which sectors to hold on the basis of an investment theme. This in practice means taking a view on how you see the crypto economy developing. Perhaps you think privacy will continue to rise up the list of concerns consumers face, in relation to social media and government for example. So privacy coins, social media blockchain platforms and self-sovereign ID platforms will feature prominently in such a portfolio. Examples of proto asset classes include: smart contract platforms, privacy coins, gaming coins, stablecoin, liquidity coins, social media, prediction markets etc, as well as general industrial sectors such as logistics, travel, food provenance, media and entertainment. Investors should make a decision on the percentage to allocate to their favoured proto asset classes (sectors). In traditional finance there is a split between so-called value and growth investing. Since the financial crisis of 2008 value investors haven’t been doing that well. Such investors will typically focus on companies that they think are undervalued or are highly cash-generative and are in the habit of returning value to shareholders through dividends and share buybacks. Growth investors look to a return primarily from an increase in the company share price. Applying that strategic approach to crypto rests on uncovering the undervalued cryptoassets. This is not simply a question of trying to determine whether the price of the coin has fallen recently and is therefore undervalued. It requires a more granular line of attack that considers cash on hand (admittedly hard to work out), revenue (most don’t have any), debt, adoption, strength of its technology and developer support, addressable market, tech and management teams. If the market appears to be discounting good news on all or most of those fronts then the cryptoasset in question could be undervalued. Enjin is one possible example of a cryptoasset that has been trading at a discount until recently. Coins can trade at discounts to their real value because of past negative events that no longer apply – whatever it was that ailed the project has been fixed but the developments have not been factored in by most market participants. Crypto investors will be aware of the term holding. It is the crypto version of the mantra that applies in the mainstream markets known as the buy-and-hold strategy. However, holding has its downside, depending on the timeframe you have set in which to realise the return on investment. The major deficiency is that things change. That is even more so in crypto where one year of the analogue world might be considered the equivalent to 10 years in the crypto world. Efficient-market hypothesis has it that investors act rationally, but this is rarely the case. There is a long-observed psychological weakness of investors that creates behavioural biases. One such is the conservatism that prevents investors from adjusting their portfolio to account for new circumstances and evidence. Hodlers can fall into this trap. The smart holder can avoid this by constructing a core and satellite portfolio. For instance, bitcoin and some large cap alts could be in the core long-term holding part, with satellite holdings of smaller capitalisation coins circling it and subject to trading. However, the old trading maxim to run your winners and cut your losses can be brought into an investment strategy by deploying a rebalancing rule. As the values of the coins in your portfolio change the percentage that each one takes up in the portfolio of course also changes. To keep those ratios constant requires regular tweaking, by reducing and adding to holdings. If you decide that 40% is allocated to Bitcoin (BTC) and 20% to Ethereum (ETH), 20% to privacy coins and 10% each to EOS and Cardano, then you would need to adjust those holdings accordingly. Bear in mind the bitcoin trading costs of tweaking too often so quarterly is probably best although a higher frequency may be justified in crypto. Some networks with proof-of-stake consensus protocols pay investors for staking coins. This is equivalent to getting paid interest for lending to an individual, company or a government. The most important consideration here, as with bond investment, is the creditworthiness of the ‘borrower’. In other words an investor ideally should stake in the busiest and most provenly secure blockchain networks. It may not always be advisable to chase the best rate because one day you could wake up and find the project has been hacked or is closing down due to lack of users. Top paying networks include PundiX where a yield of as much as 22.8% is possible. NEO, the so-called Chinese Ethereum, returns up to 6%. Zcash fork Komodo pays 5%. In a sign of the growing importance and attractiveness of this sector, in late March US exchange giant Coinbase set up a staking business. It will take on the custody risk for institutional investors for a fee, with earnings of 6.6% expected, according to the firm. The first network being offered is Tezos (XTZ). Collective investment vehicles are instruments where multiple investors contribute in an investment vehicle, such as an investment trust, mutual fund or exchange traded fund. These are attractive to investors who are looking to benefit from active fund management or want to get cheap passive exposure through an index-tracking ETF, for example. 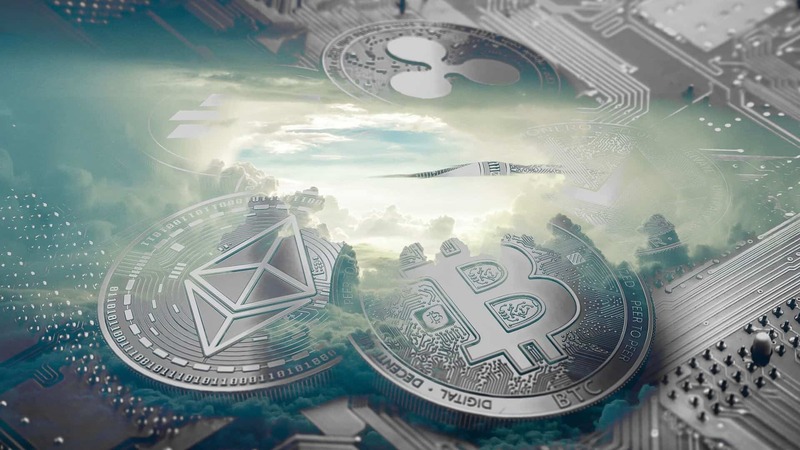 Although there is no crypto ETFs as yet, there are mutual funds with crypto exposure, a number of exchange traded notes and there’s even one investment trust. According to ETF Database (ETFdb.com) the largest blockchain ETFs by assets under management are: Amplify Transformational Data Sharing ETF, Reality Shares Nasdaq NexGen Economy ETF, First Trust Indxx Innovative Transaction & Process ETF, Innovation Shares NextGen Protocol ETF, REX BKCM ETF, Goldman Sachs Motif Finance Reimagined ETF, AdvisorShares Sabretooth ETF, Reality Shares Nasdaq NexGen Economy China ETF. Ark Invest’s Ark Web x.0 ETF and Ark Innovation ETF has 3.8% and 1.9% exposure to Blockchain and P2P. A new launch is the Invesco Elwood Global Blockchain ETF, listed on the London Stock Exchange. The oldest existing collective in the crypto pace is the Bitcoin Investment Trust from Barry Silbert’s Grayscale Investments, recently rebadged as Grayscale Bitcoin Trust. The trust is an open-ended (number of units available to investors to buy can be increased) like mutual funds, as opposed to a traditional investment trust or investment company which are closed-ended (fixed share issuance). Grayscale Bitcoin Trust holds bitcoin as its underlying asset, as the name suggests, but trades at a premium to net asset value, which means it would be cheaper to buy BTC directly instead of through the trust. Having said that, for those who don’t want to worry about custody the premium may be a price worth paying. It is also worth bearing in mind that the premium narrows when bitcoin is falling and rises when bitcoin is appreciating, so the prospect of advantageous future premium spikes to those at current lows should be taken into account. Finally, there are a number of exchange traded notes to consider. These are debt securities with exposure to an underlying cryptoasset. 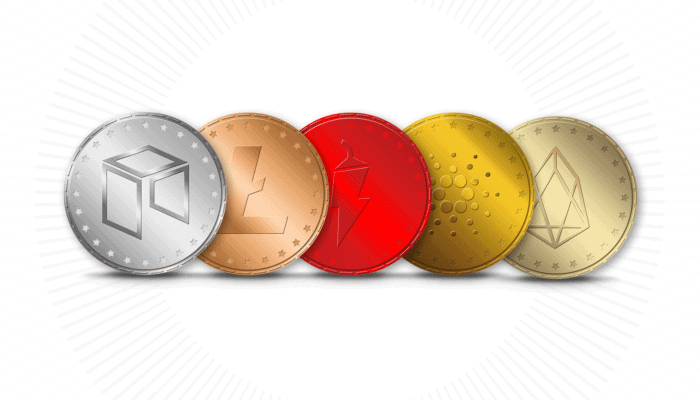 CoinShares was the first to market with two products listed on the Swedish stock exchange – the XBT Provider Bitcoin Tracker and the XBT Provider Ethereum Tracker. And late last year an exchange traded product listed on the Swiss SIX stock exchange, the Amun Crypto Fund. 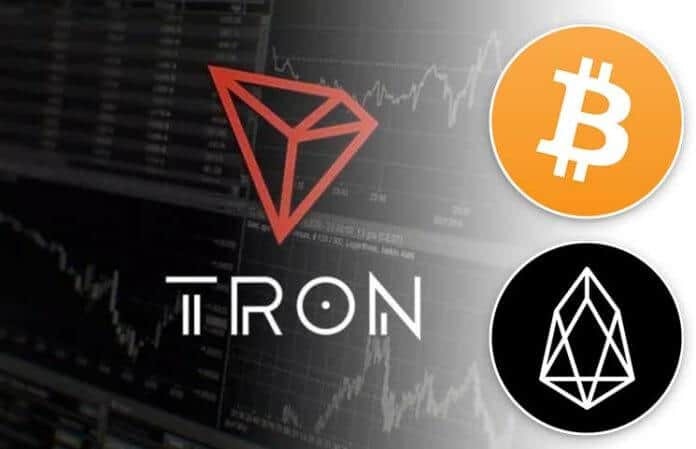 Publicly listed companies with crypto and blockchain interests would until recently have led investors into the arms primarily of the graphic chip makers Nvidia, Taiwan Semiconductor and AMD. However, since the bear market set in that hasn’t been such a good play, but if we are at the bottom then the chipmakers’ crypto fortunes could reverse positively. Nevertheless, as a diversification strategy there are other companies that could be part of a crypto portfolio. US e-commerce outfit Overstock, which is pivoting into becoming a tokenisation platform, is an obvious candidate. There are other smaller companies to look at, such as Hive Blockchain Technologies and Riot Blockchain. Then there’s Online Blockchain in the UK, a penny share with a number of social media tokens to its name, the most well-known being PlusOneCoin(PLUS1) used on the ADVFN.com private investor network. Larger companies with blockchain initiatives and/or exposure to crypto mining include Microsoft, IBM and Norsk Hydro and Rio Tinto Zinc. 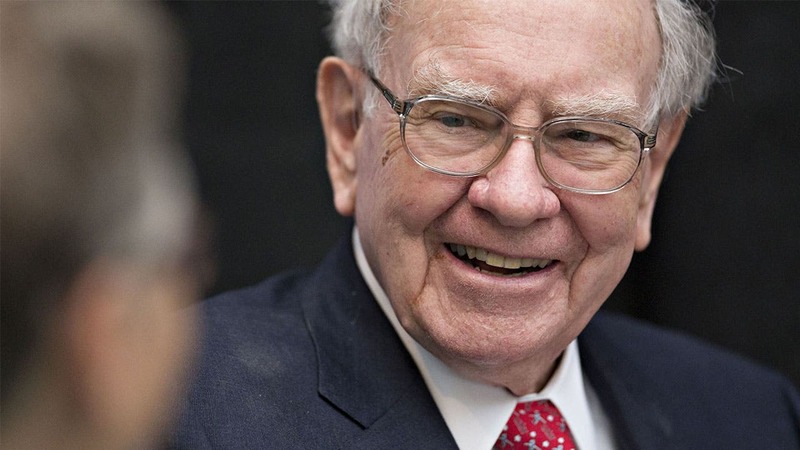 Legendary value investor Warren Buffett invests in stocks with a wide moat. By this he means companies with competitive advantages such as unique intellectual property or a captive audience that would be difficult for others to overcome. With that in mind, and the fact that we are talking about early-stage companies without substantial numbers of customers, the point of differentiation rests with those showing the most traction and with technologies that underpin a network capable of scaleing securely. Out in front is bitcoin because it has the largest network and the best name recognition in the marketplace, even if its protocol is not as scalable as newer proof-of-stake blockchains. A similar rule of thumb might be used to assess other top altcoins but here we find network adoption patchy as measured by nodes and customer adoption, but the technology being the potential differentiator. Also, companies first out of the gates in their sectors could end up reigning supreme, or at any rate be in a position to prevent rival blockchain disruptors from gaining traction. Telegram could be one such example. For the crypto world the moat is ultimately the technology so due diligence at this stage of the game will necessarily focus on the technicalities therein. A strategy with an eye to so-called third-generation smart contract platforms (bitcoin and Ethereum being the first and second gen, respectively) is important even though it is still too early to pick a winner. With volatility at historic lows and capitulation of retail investors fairly well advanced, if we are not near the bottom of the bear market we are likely not very far off it. Market sentiment is still characterised by weakness born of fear fed by a 15-month price reversal. That fear sees plenty in the mainstream who are writing off bitcoin and the rest. The CBOE is turning its back on bitcoin futures and The Economist has recently condemned bitcoin as a failed experiment. The time to start being greedy is either hear or near, this strategy would suggest, but bear in mind the rule that you shouldn’t put more than 2 to 5% of your net worth into alternative investments, of which crypto would be among other “risky bets”. And when you are ready to pounce or at least to start drip-feeding cash into the market, work out your risk tolerance, do your own research and set your rules and targets and stick to them. 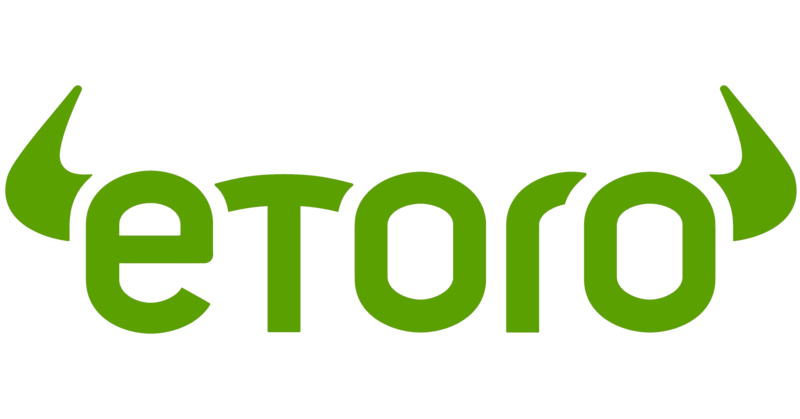 eToro, the world’s leading cryptocurrency exchange is now accepting U.S customers. Click below to start trading crypto.